Stand on a firm underground. Use a solid wallbar or rail to hold on to. It will help you not to fall backward. 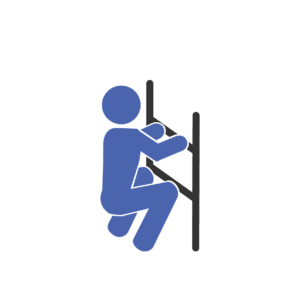 A sling, rope or even a towel wrapped around a door fall or similar could be used too. Carefully check the stability!